From the moment the opening video plays, you are gripped while chills run down your spine. In September 2014, in response to the growing threat of the spread of Ebola across West Africa, the BBC World Service launched the world’s first humanitarian ‘lifeline’ news service on a messaging platform – its Ebola WhatsApp service. Drawing on the experience from the BBC’s pioneering new formats work in the messaging space throughout 2014, the Ebola WhatsApp service was launched in response to the challenge of getting life-saving information to people most affected by the Ebola outbreak directly onto their mobile phones. 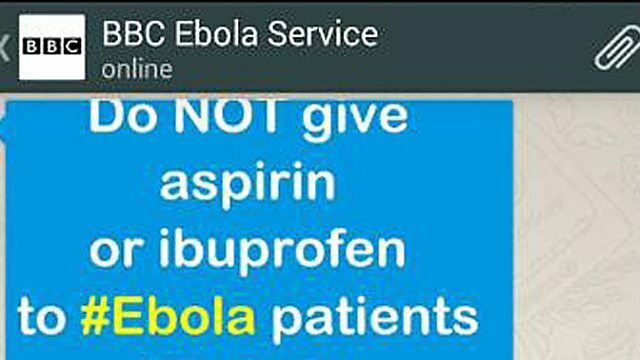 The BBC had already started special programming on radio and TV to help spread public service announcements on Ebola, as well as through its coverage online and across social media. How could it push this information further, directly onto people’s mobile phones in the areas that most need it? This mix of content maximised the number of people who could benefit from the content – those who only spoke or understood the language, those who could read and those who could only understand the messages through the pictures or illustrations. Building on the excellent relationship the BBC had already built up with WhatsApp following its Indian elections pilot earlier in 2014, WhatsApp helped to get the BBC account going by whitelisting it in its system. It was now ready to send life-saving content to thousands of people in the region. Very quickly, the Ebola WhatsApp service came to the attention of Unicef and the World Health Organisation, who were keen to share their content via the service too. The BBC’s relationships with other messaging and social media companies were also drawn on to extend the content that was being created for the WhatsApp service to have an even greater reach. Soundcloud worked with the BBC to set up two separate accounts where audio sent via the WhatsApp service was also uploaded in French and English and made free to download and copyright-free to use so that FM radio partners across Africa could also use the audio for broadcast. The popular South Africa messaging app Mxit created a separate space within the app’s main menu for the BBC Ebola WhatsApp audio content to be hosted – helping the BBC to reach a young South African audience and educating them on the disease. It became a truly innovative collaborative model involving an editorial/news partner (BBC), tech companies (WhatsApp, Soundcloud, Mxit) and aid agencies and NGOs (Unicef, WHO). The time between initial idea to launch was just one week – the fastest of any digital service launch in the BBC’s history. The WhatsApp Ebola collaborative example subsequently became the blueprint that the BBC used to respond rapidly to other humanitarian crises – most recently with the launch of the BBC Nepali Viber service offering similar ‘lifeline’ information to people in Nepal in both English and the Nepali language. The WhatsApp Ebola service was initially planned to run for a six-week period up until early December 2014, but such was the demand from its users, it continued beyond and concluded at the end of May 2015. 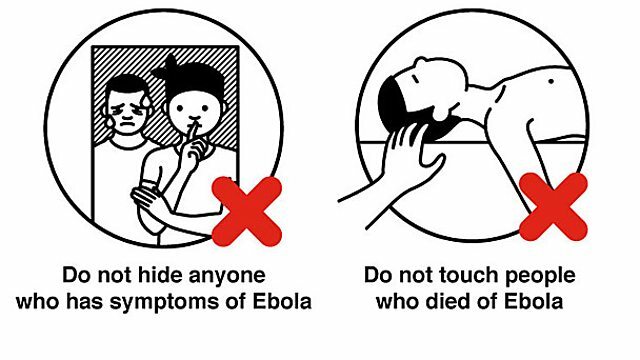 This demonstrated the commitment the BBC had in not just running it for a short time while Ebola was in the news, but to be a service educating and informing people in West Africa throughout the outbreak over several months. Very quickly after the service started, it evolved beyond just a push alert service into being o a genuinely two-way communication and engagement platform. 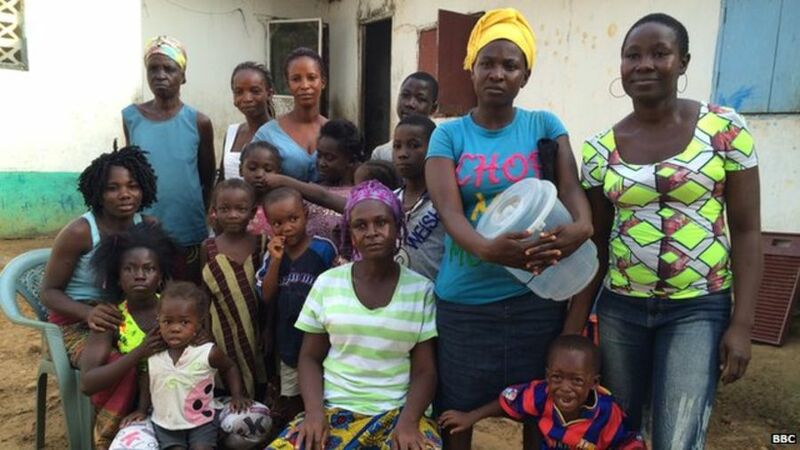 Many subscribers shared their personal stories of their lives and how they had been affected by the Ebola crisis. They also alerted BBC News to a number of new angles and story leads that were followed up and reported on our main news outlets. We also shared these personal stories across our TV, radio and online news services, providing human interest perspectives to the crisis. A Medium account was also created highlighting many of these stories, most notably a piece which carried responses to the question ‘What do you miss about life before Ebola?’. They also helped shape our coverage of the crisis by sending in questions on the outbreak that we had not covered – simple but highly relevant questions such as: ‘Can I catch Ebola from a mosquito bite?’ or ‘Is it safe to swim in swimming pools in Ebola affected areas?’. 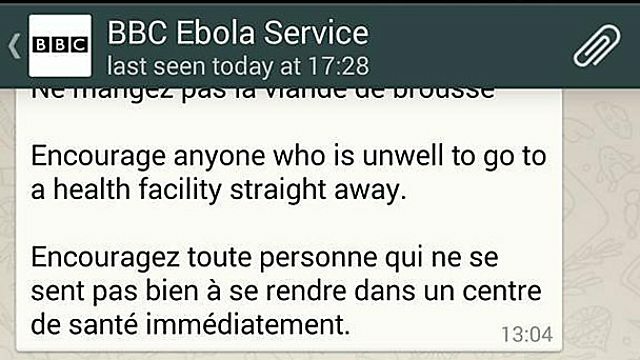 The WhatsApp Ebola service responded quickly to such questions and commissioned BBC World Service health correspondents to research the answers and record them as short audio items which were posted back to all subscribers. After nearly nine months, the service has had a dedicated audience of 23,000 direct subscribers – the majority of them from the worst affected areas in West Africa, which proved that the targeted nature of the project had been a success. Many thousands more have received the content via friends and contacts forwarding on the messages via WhatsApp.